In spite of a one day delay and a change in format because of heavy rains, the Endurance Team selection trial for the 2014 World Equestrian Games was considered successful. April 29, 2014 -- The top U.S. athletes in endurance headed to Broxton Bridge Planation in Ehrhardt, S.C., to take part in the 2014 Alltech FEI World Equestrian Games Endurance Team Selection Trial CEI2* 120km. The race was scheduled to take place April 19 but heavy downpours caused the race to be rescheduled to April 20 and run under a new format. Lexington, Ky. - The United States Equestrian Federation Board of Directors has voted unanimously to appoint Chris Welton as Chief Executive Officer effective June 1, 2014. Welton will replace John Long who announced his decision to retire from the position a year ago. Welton possesses a broad background in sport development and management and has acquired a deep understanding of and experience with the Olympic movement. After practicing law in Atlanta for six years, in 1991 Welton was named Vice President for Corporate Partnerships and Sponsorship for the Atlanta Committee for the Olympic Games where he managed the domestic sponsorship program for the Atlanta Games. Following those Games, Welton founded Meridian Management, and the new company became the exclusive marketing representative of the International Olympic Committee, responsible for managing all sponsorship and marketing activities for the IOC, including the IOC's TOP Program. In 2005, after eight years as Meridian's CEO, Welton joined the international sport marketing consultancy Helios Partners. Helios' primary businesses included corporate sport consulting, sport property, and media consulting and representation of cities and countries bidding for the opportunity to host major sporting events. He served as Helios Partners' CEO until early 2013. "This is an exciting time for the Federation," remarked USEF President Chrystine Tauber. "The stage is set perfectly for Chris' extraordinary strategic leadership skills. He is a proven leader who has consistently demonstrated the ability to build consensus, develop and implement innovative programs, and utilize his deep connections throughout the international sports movement." In addition to his experience at the Olympic level, Welton has a passion for horses and equestrian sport. 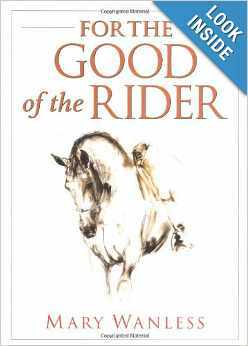 He and his family own a horse farm, and he is a western pleasure rider, while his wife rode hunters and jumpers. "The balance between International and National was a key focus in the eyes of the Search Committee," reported Murray Kessler, Chairman of the USEF CEO Search Committee. Kessler continued, "This balance is a key strength for Chris. He will serve the entire organization, including a clear desire to build the sport at the grassroots level." Chrystine Tauber complemented John Long for his contribution as the USEF's first CEO and for his dynamic role in the USOC and as U.S. Secretary General in the FEI, where he also chaired the Nominating Committee and was a member of the Strategic Planning Task Force. She further acknowledged, "John has led a diligent, efficient, and fiscally responsible USEF professional staff, integration of the Sports Program support, evolution of a Customer Care Center, relocation of Drugs & Medications Testing Lab to Kentucky, and most recently inspired and implemented the new governance restructure. Our governance structure is now in place to allow us to fulfill our responsibilities to our members and other constituent groups while also allowing us to undertake new and creative initiatives." John Long commented, "I am pleased to have such an accomplished individual as Chris Welton step into the role I have served for the past 10 years. It has been a source of great pride to have played a role supporting the bold and innovative actions by Federation leadership as the vision for the future success of the USEF has been charted. The Federation is well positioned for the new leadership to move the organization forward." "The opportunity to serve as the Federation's Chief Executive Officer is tremendously exciting for me," noted Welton. "I ride because of the joy it gives me, and I look forward to working to grow participation in equestrian sport at the national level, the visibility of horse sport in media, as well as the success of our elite riders in international competition. Equestrian sport has been part of the human experience from our earliest days and is a foundational sport within the Olympic Movement. I look forward to applying my experience and skills toward building upon the great foundation and standard that previous leaders have set." Welton will join John Long and Chrystine Tauber representing the U.S. at the upcoming FEI Sports Forum and Extraordinary General Assembly in Lausanne, Switzerland, later this month and work from the Lexington, Ky., headquarters beginning June 1, 2014. 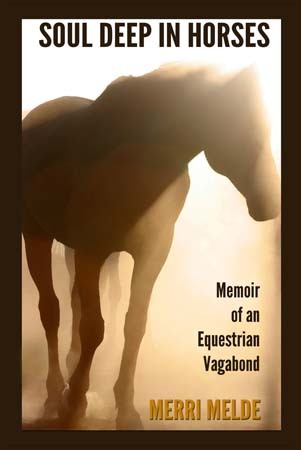 A dressage rider reconnects with the freedom of riding in an endurance experience. At about the time my right hamstring seared with a pain that knifed into the deepest nerve bundles, I began to ponder whether this was actually any fun. I inventoried the tacky roof of my mouth—dry and dust-coated—my twanging hip flexors, and a back spasm that started pulsing two hours ago, now worsening. The numbers 38 kept rising through my thoughts like the blurry waves of heat that lift from hot roads, turning scenery into drugged-like hallucinations. I pictured the "3” flopped over in the middle, the "8” vibrating side to side as though it meant to taunt me. It occurred to me that maybe 38 miles was my limit. Maybe I could ride a horse for 38 miles and no farther. The Southwest region's Roger Taylor and AERC members have been awarded the BLM Director's Four C's Award and the Department of the Interior's Take Pride in America Award. Taylor and crew have, over the past 14 years at the Fort Stanton Snowy River National Conservation Area in New Mexico, helped develop a renowned camping area and many miles of trail, and helped create multi-use trails and facilities. Volunteers have donated over 10,000 hours, and have provided additional support through grants and in-kind donations. "It is AERC with the Trail Grant program that makes this all possible," Taylor said. "Member donations to the trail program for trail grants, and trail master courses continue the needed trail work." To see the BLM letter, click here. AERC has grant funds available for projects. "With so many budget cuts in these tough economic times, it is more important now than ever before to get involved with trail improvement," the AERC website states. "Whether you organize a project or volunteer on a project every effort counts and will go a long ways to making sure we have miles of trails to ride with our wonderful equestrian friends." 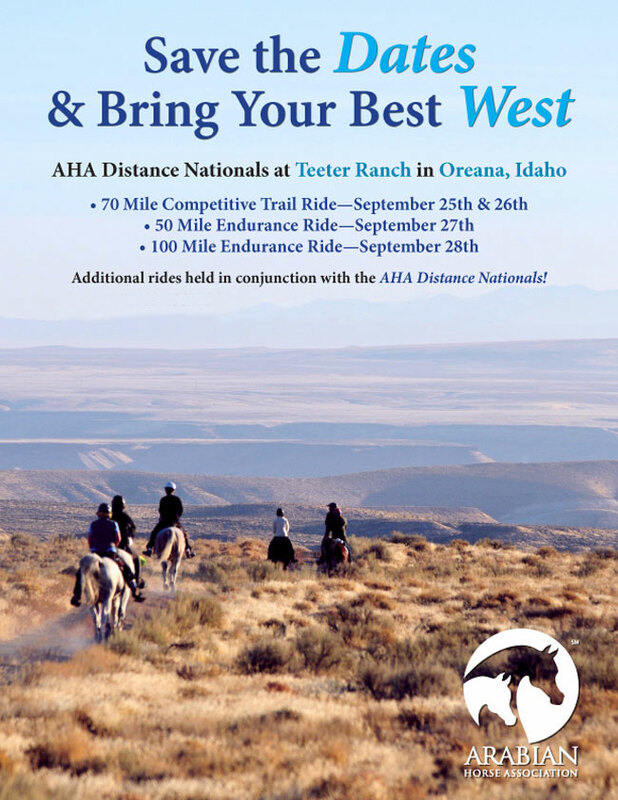 AERC sponsors Trail Master classes across the U.S. "In addition to teaching endurance riders the proper way to design and build new trails -- and maintain and improve existing trails -- we invite two land managers to attend the class with riders. Mornings are spent in the classroom. A written test follows at lunch, and afternoons are set aside for field work and getting one's hands dirty. Those who graduate from the four-day course are certified crew leaders, and can go anyplace to lead crews in the proper way to maintain, build and design trails. By working together with our land managers we can build sustainable trails for the future." A group of Egyptian Arabian horses are receiving rehabilitative care after being seized by Edgefield, S.C., authorities. But the whereabouts of another 70 horses from the same herd are unknown, said Edgefield Sheriff's Department spokesman Corporal Robbie Harter. 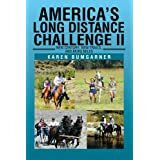 Agoura resident Lisa Schneider was elected vice president of the American Endurance Ride Conference, a group dedicated to long-distance horseback riding. Founded in 1972, the nonprofit with 5,000 members in the U.S. and Canada sanctions competitions ranging from 25-100 miles in one day.